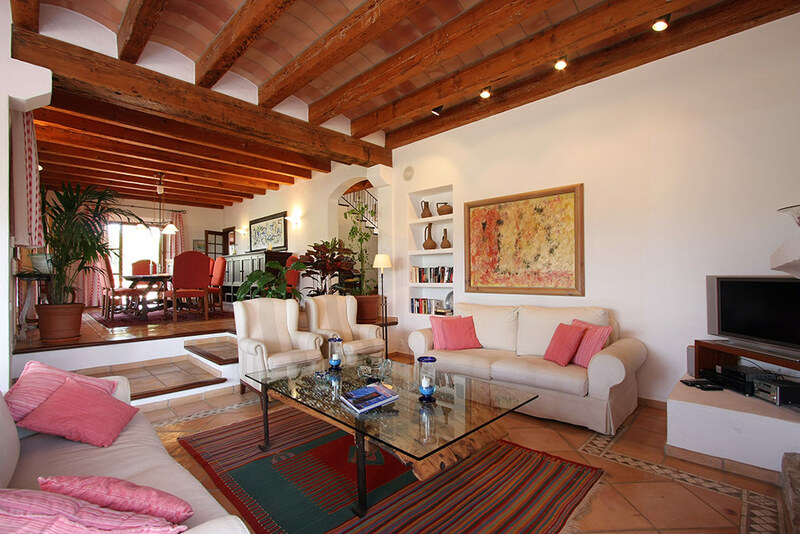 Luxury 6 Bedroom, 6 Bathroom Villa with Sea View and a Private Heated Swimming Pool , Air Conditioning, WiFi, Jacuzzi, Table Tennis, Satellite TV, near Golf, Sleeps a maximum of 12 people. 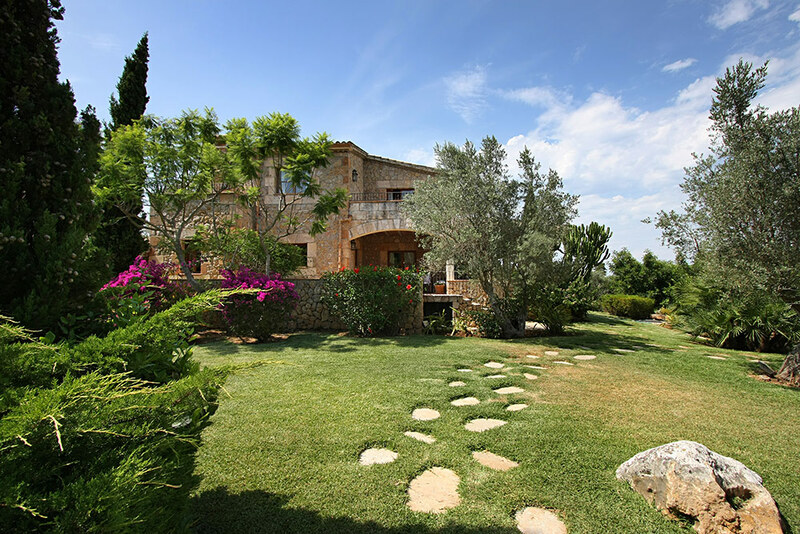 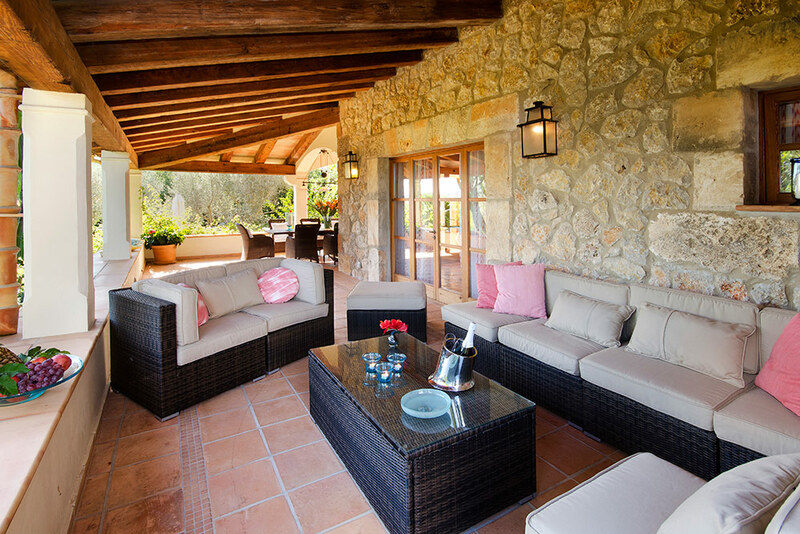 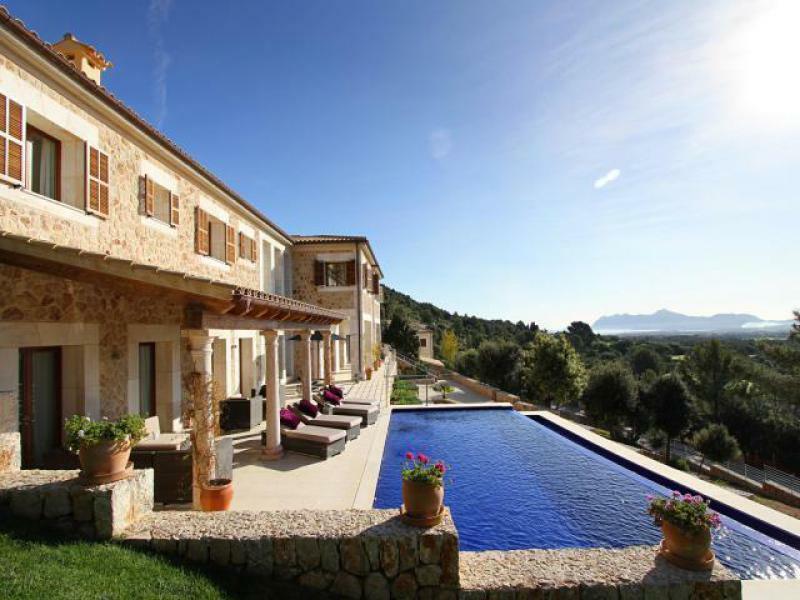 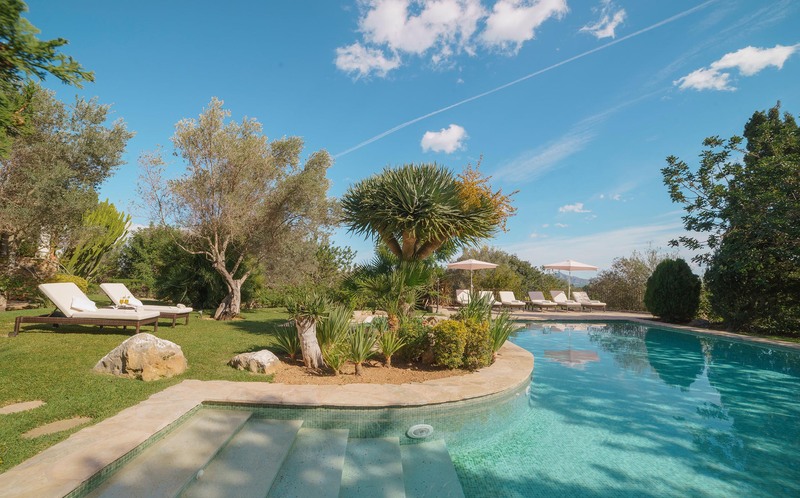 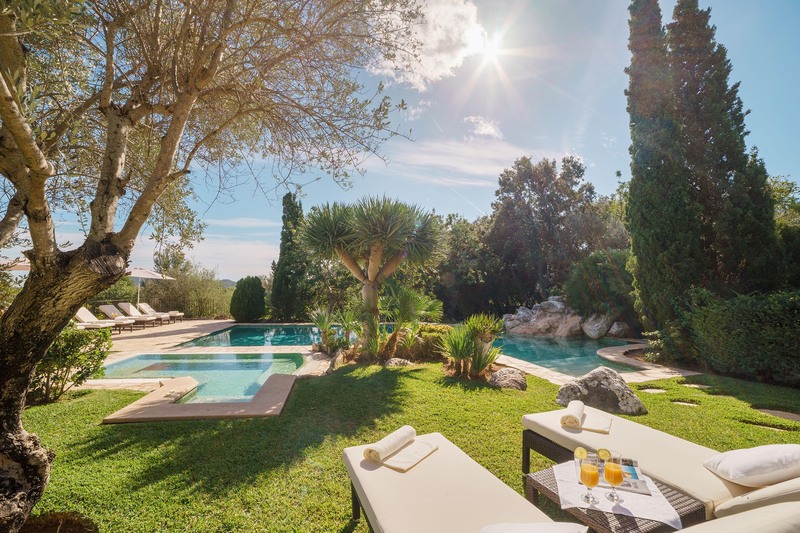 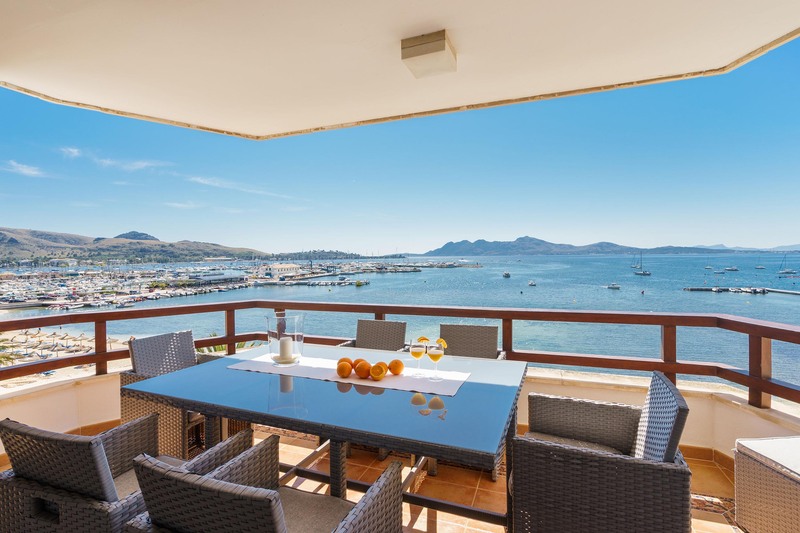 The new stone house stands majestically on the small hill with picturesque views over the bay of Puerto Pollensa up to Formentor as well as over the wide bay of Alcudia. 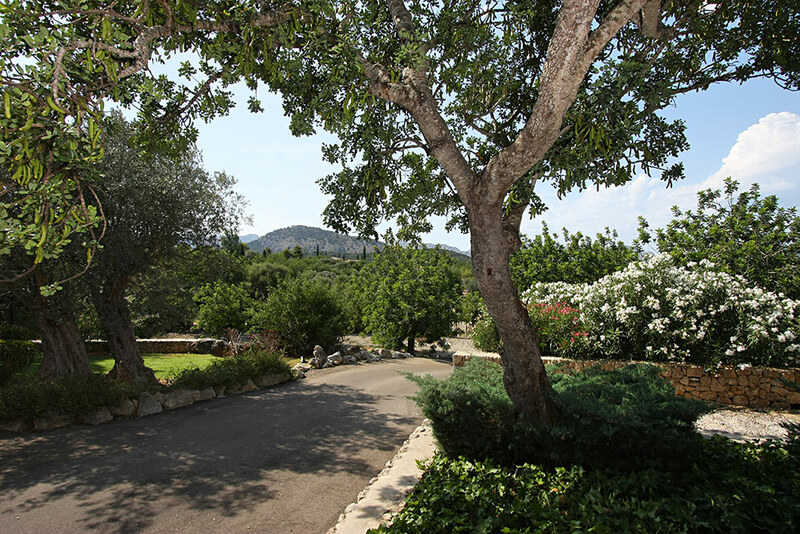 This outstanding, luxury estate was built at a distance of approx. 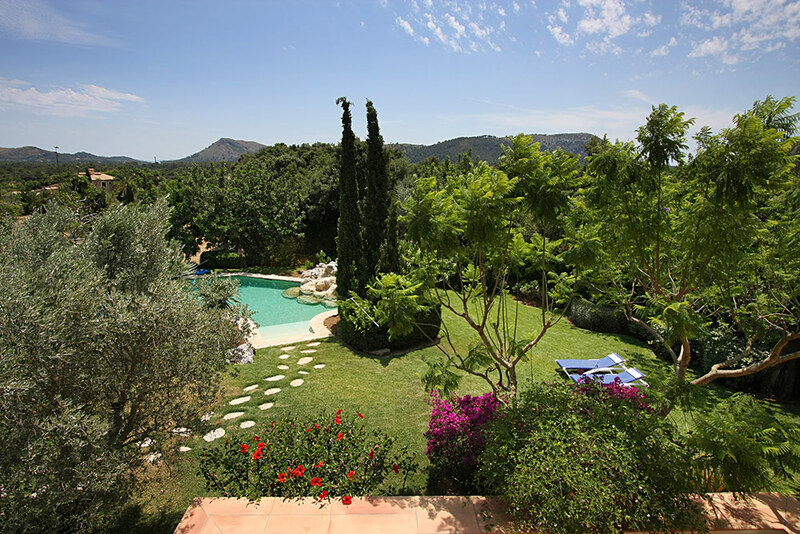 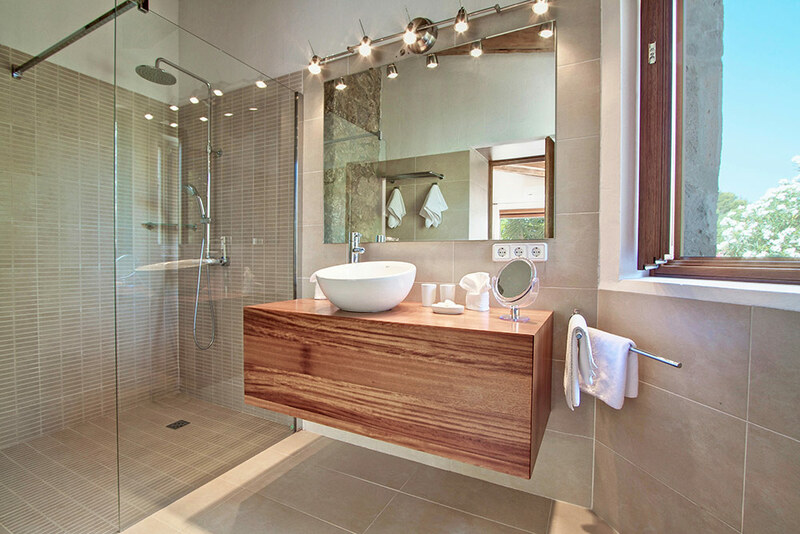 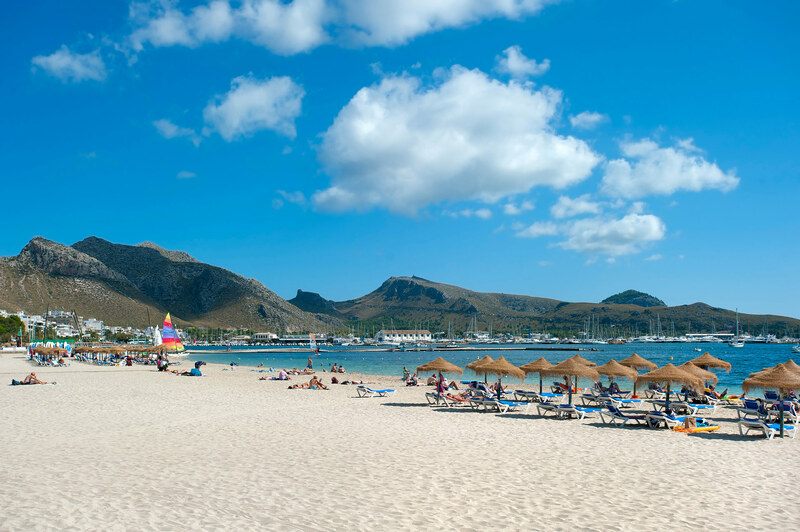 3 km from Pollensa and close to the golf course. 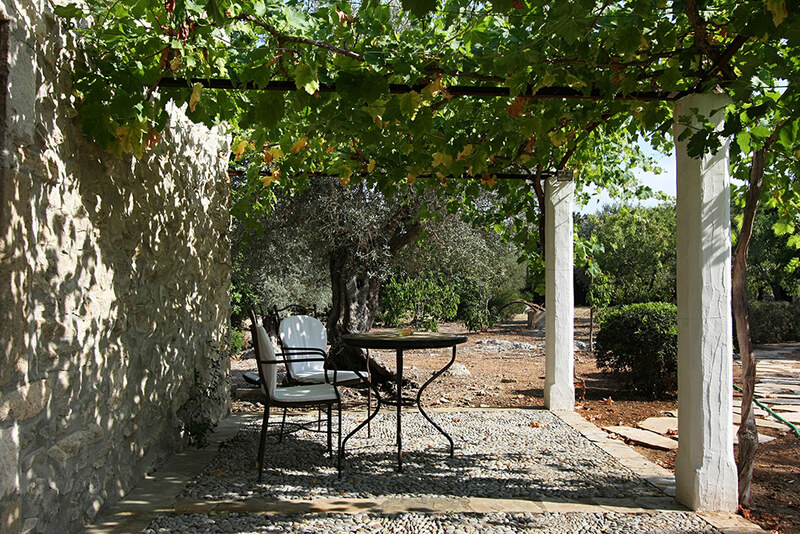 It is surrounded by very old olive, almond, fig and carob trees. 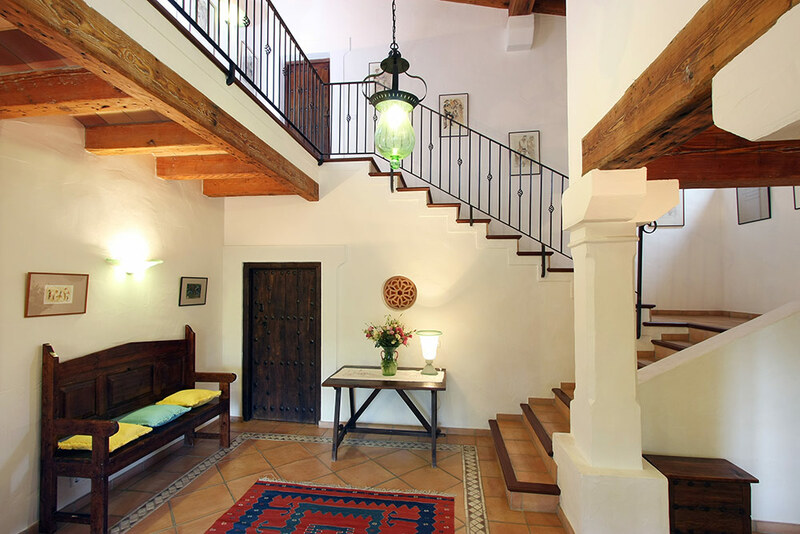 A private way takes you to the main entrance which is decorated with an old monastery door. 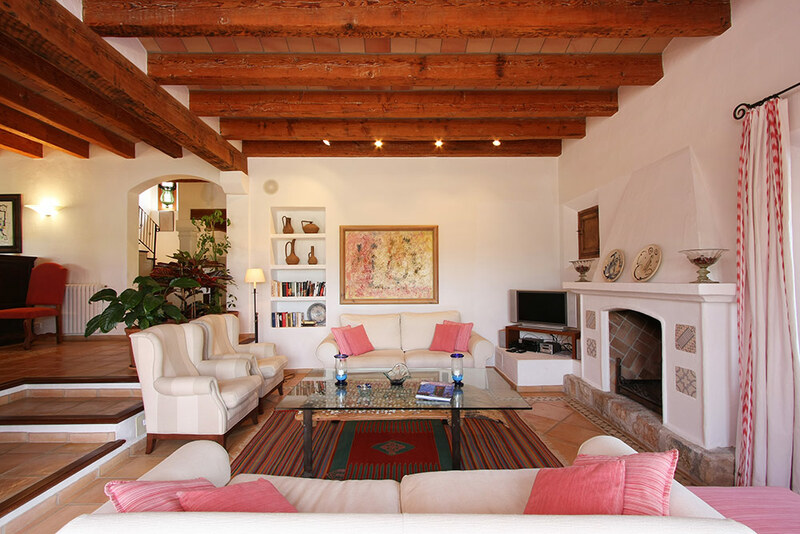 Passing the hall you enter the lounge and dining room with a fireplace. 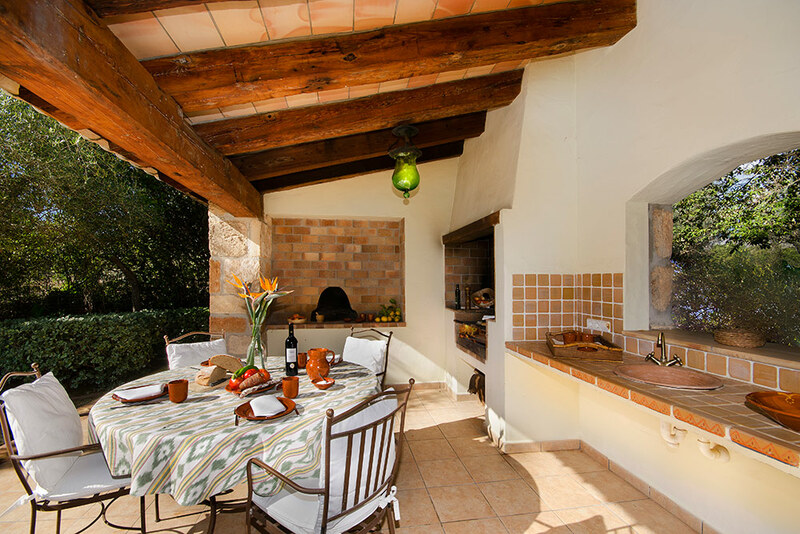 You have access to a modern equipped dining kitchen with a terrace and also to the covered BBQ with a wooden stove, which creates a beautiful dining area. 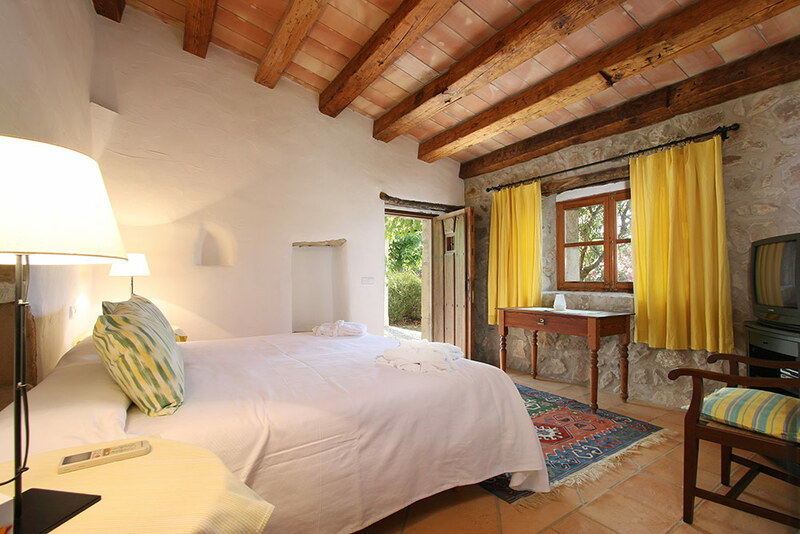 An old wooden door leads to a very pleasant double bedroom with shower/bath en suite and terrace. 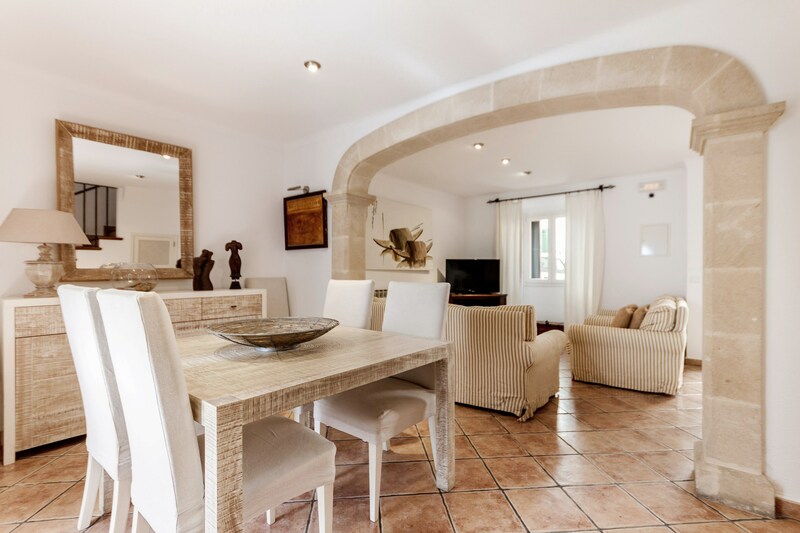 On the ground floor you will also find another double bedroom with bath/shower en suite. 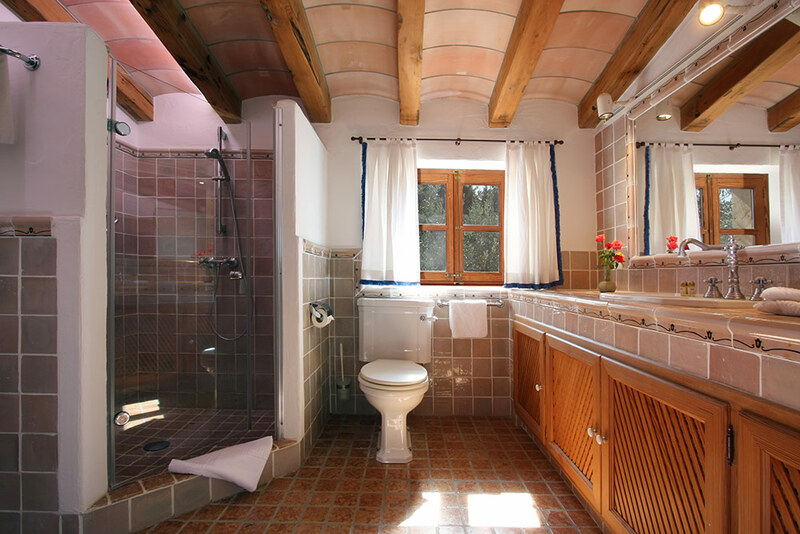 On the first floor you have 3 double bedrooms with bathrooms en-suite. 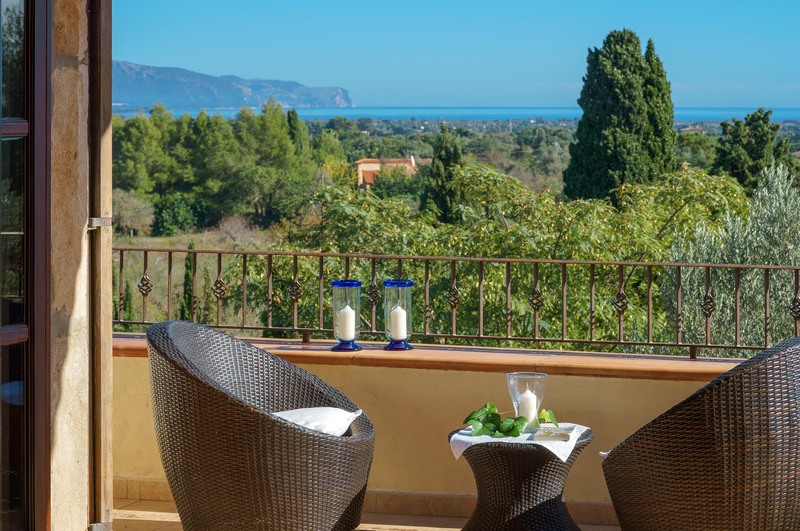 Terraces with marvelous panoramic views to the sea invite you to pass unforgettable quiet hours there. 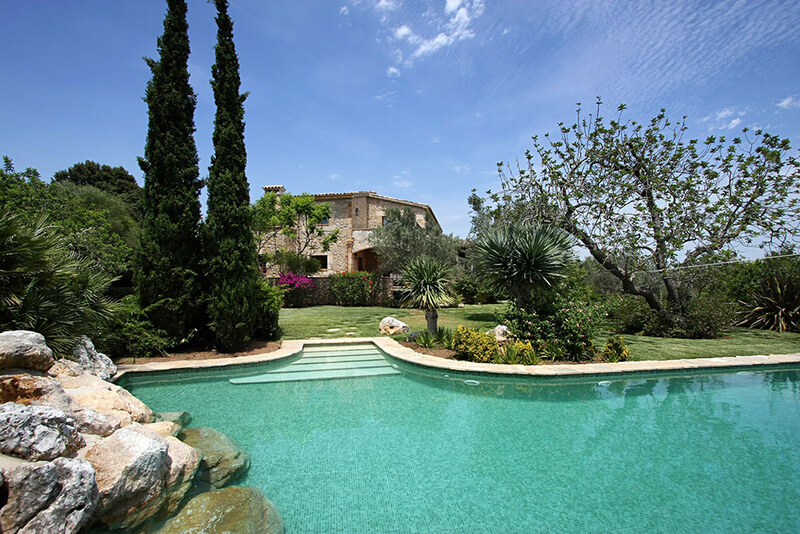 Beneath this castle-like house there is the 16m long pool and a sun terrace. 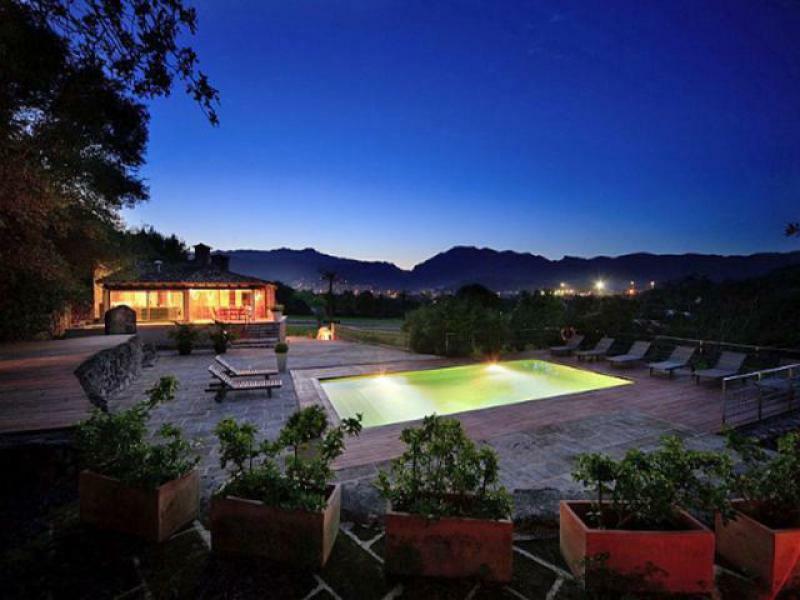 Beside the large whirlpool both illuminated at night. 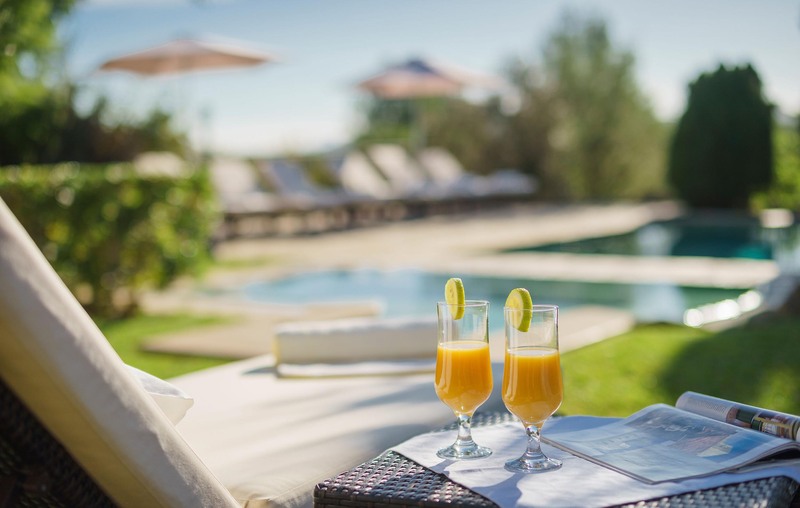 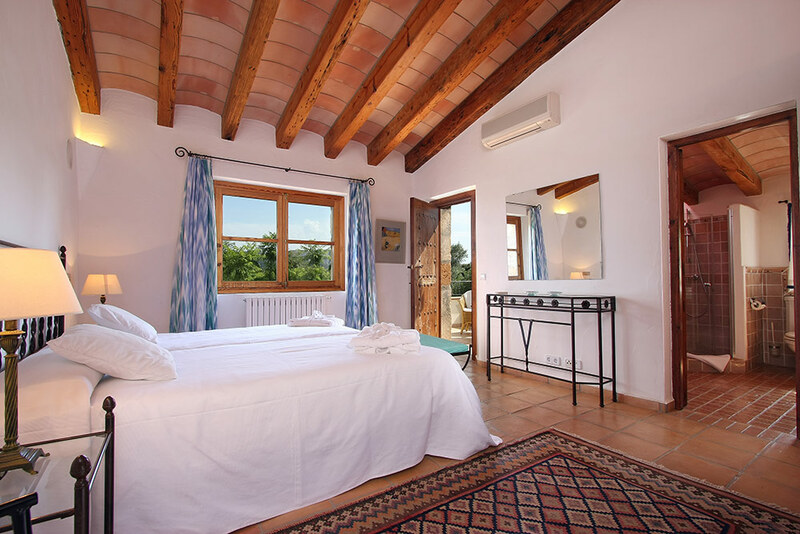 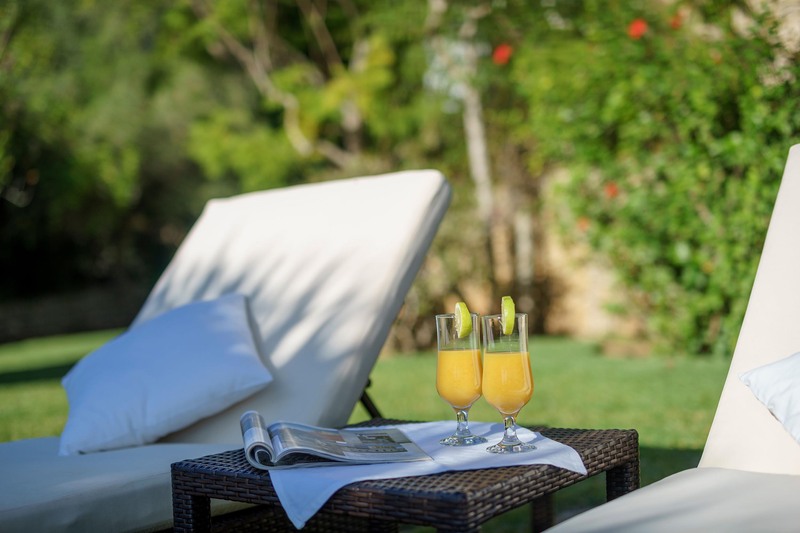 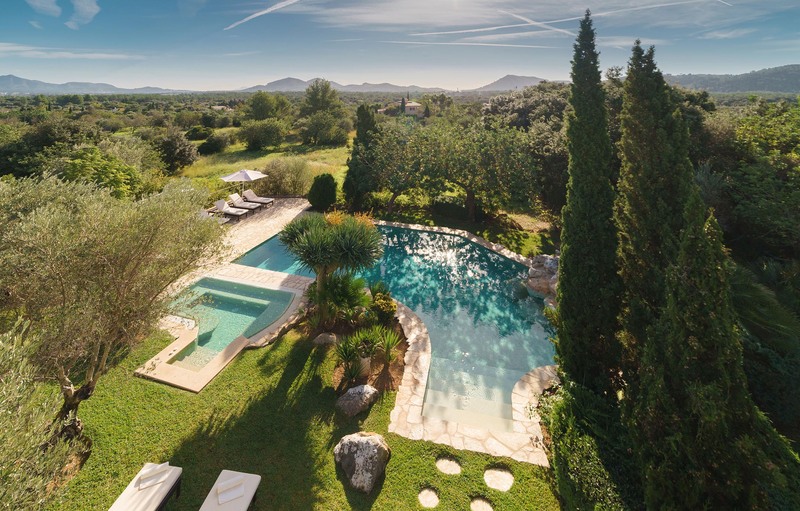 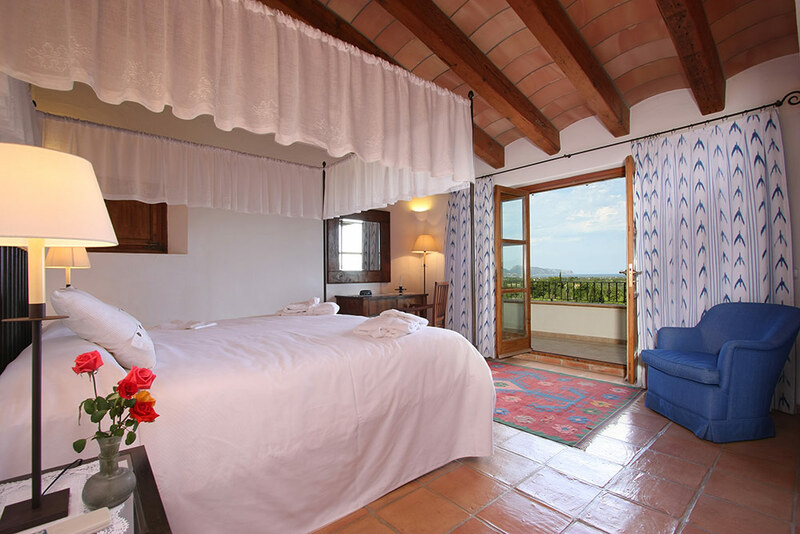 Only a few metres away from the pool you will discover the enchanting guest house of approx. 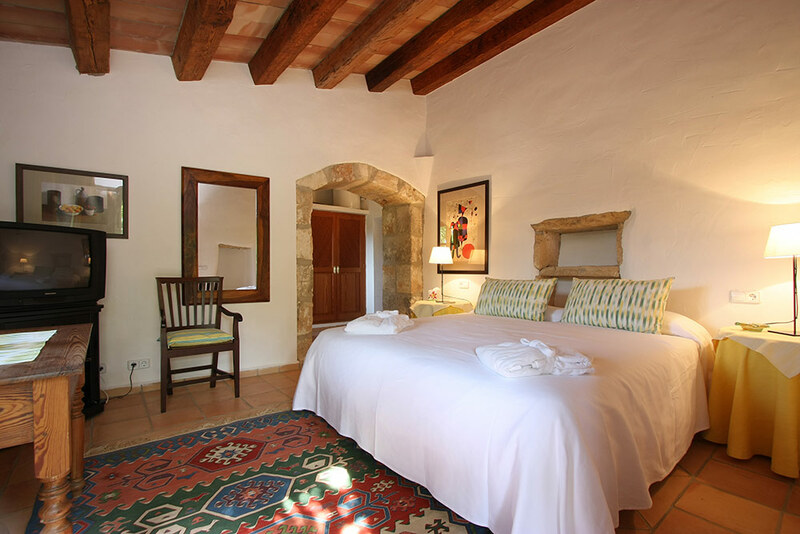 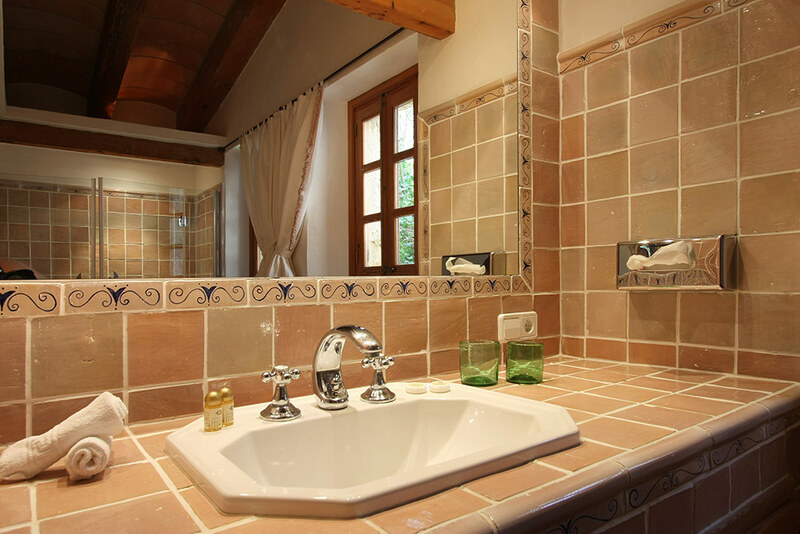 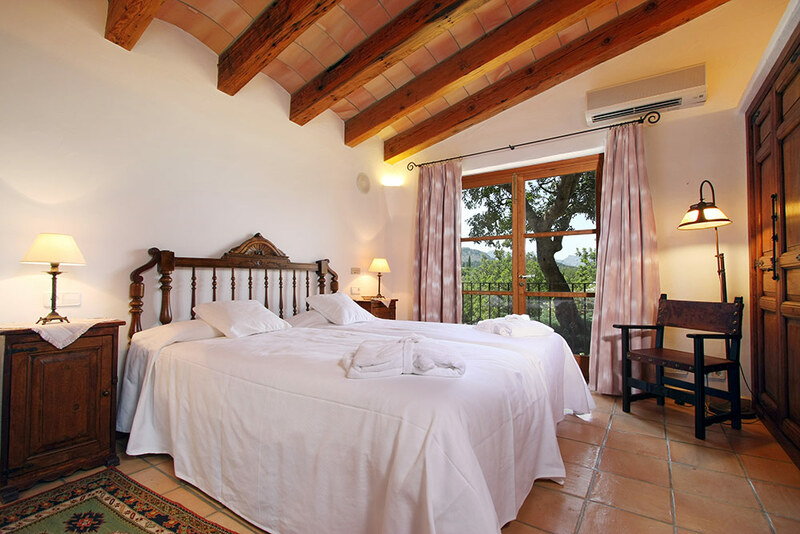 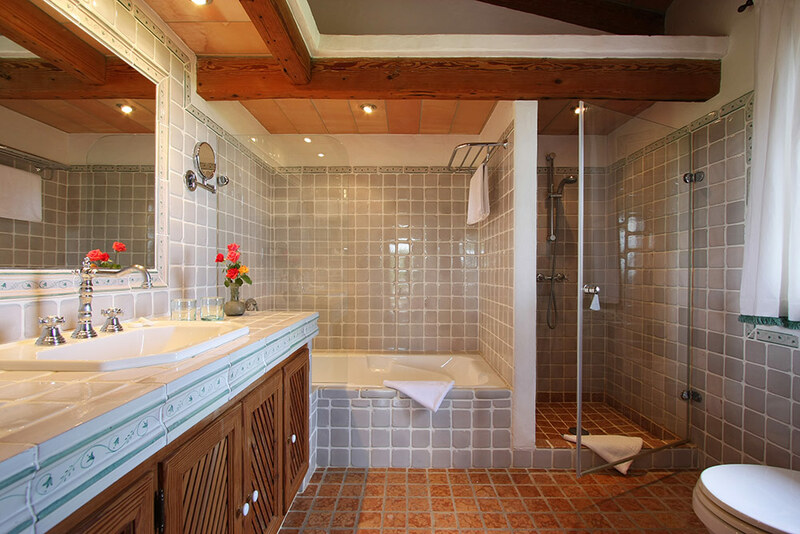 30 m2 with 1 double bedroom and stone walls, a kitchenette and a complete bathroom which invites you and your guests to pass romantic holidays. 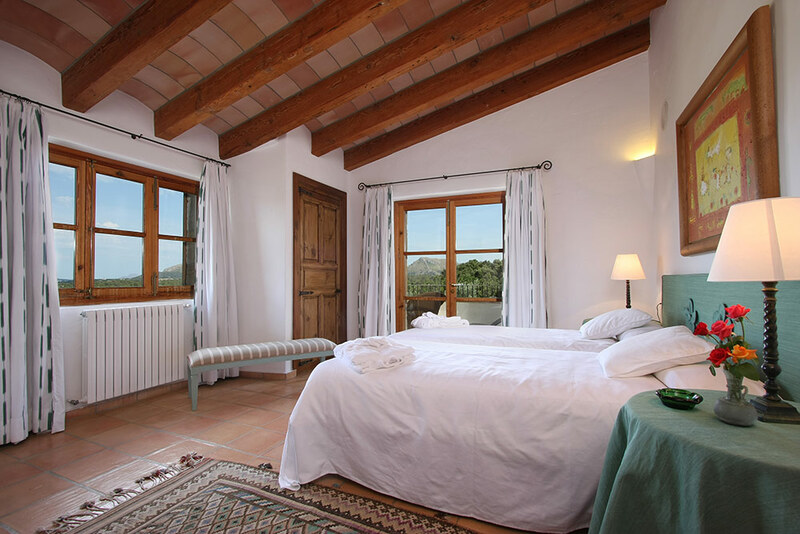 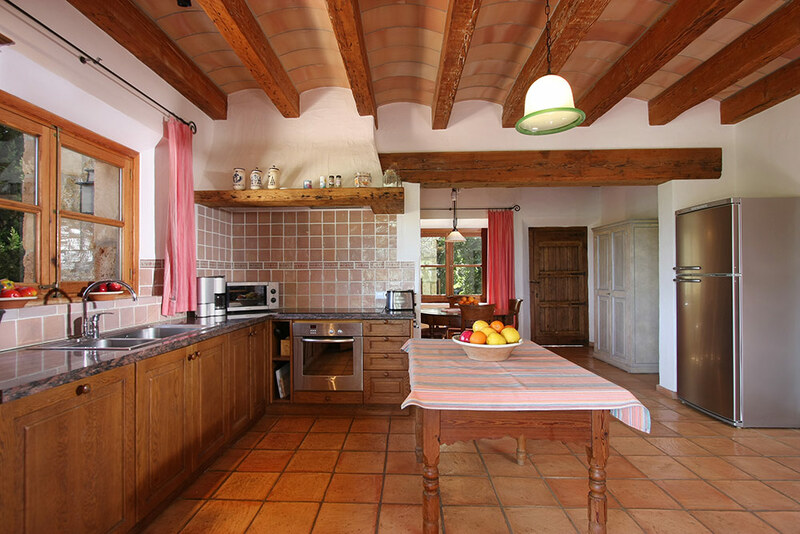 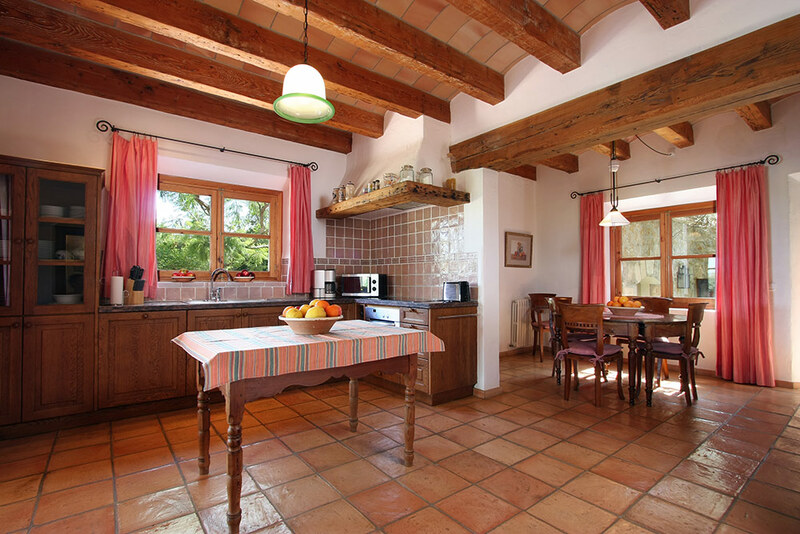 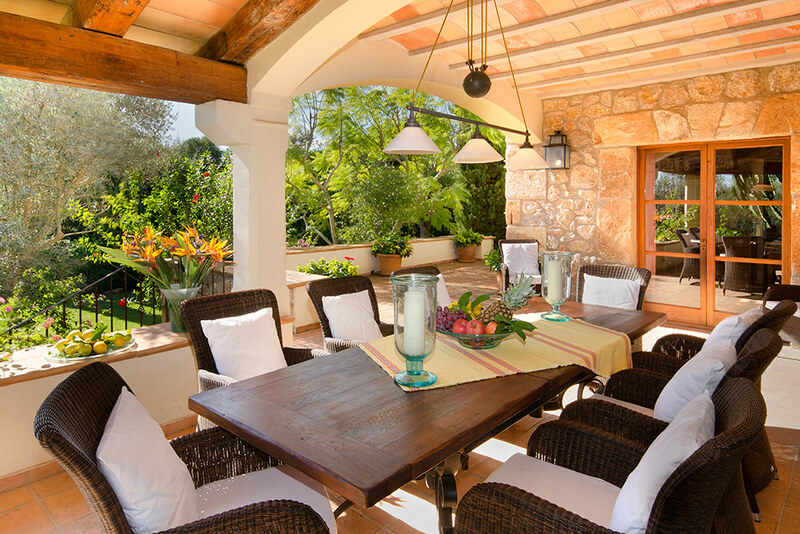 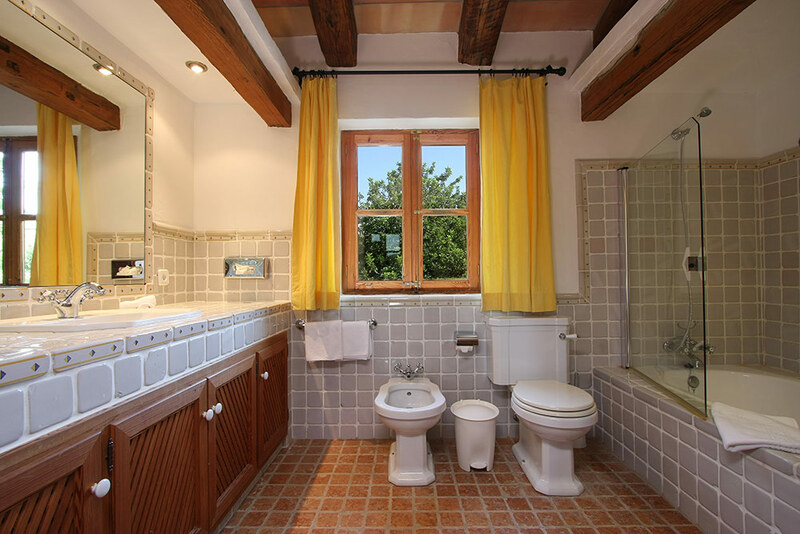 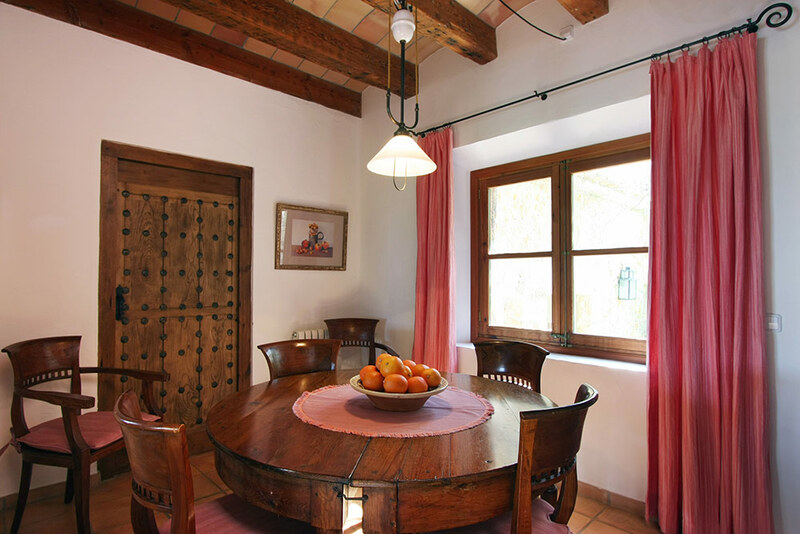 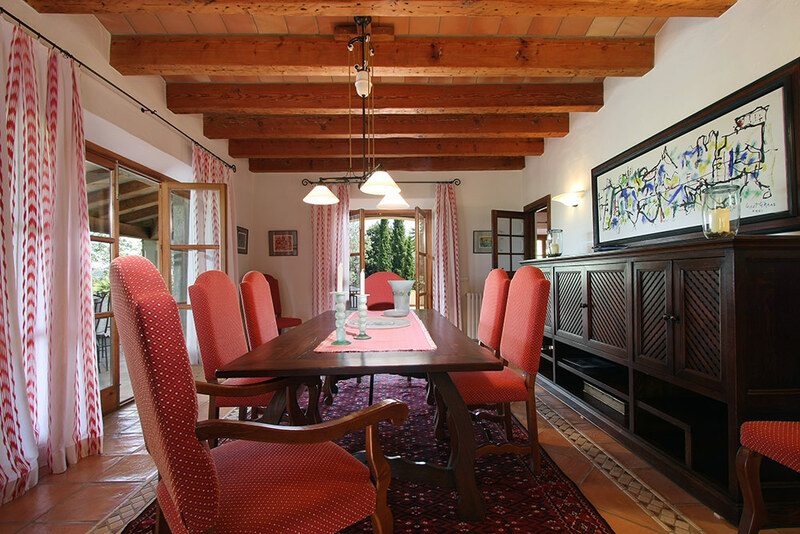 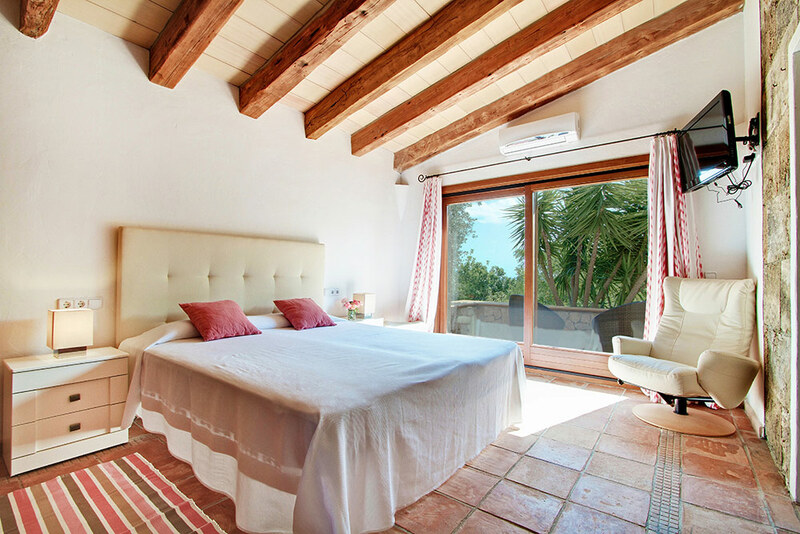 This house is built in a traditional Mallorcan style: Doors and beams had been bought from old country houses and have been restored. 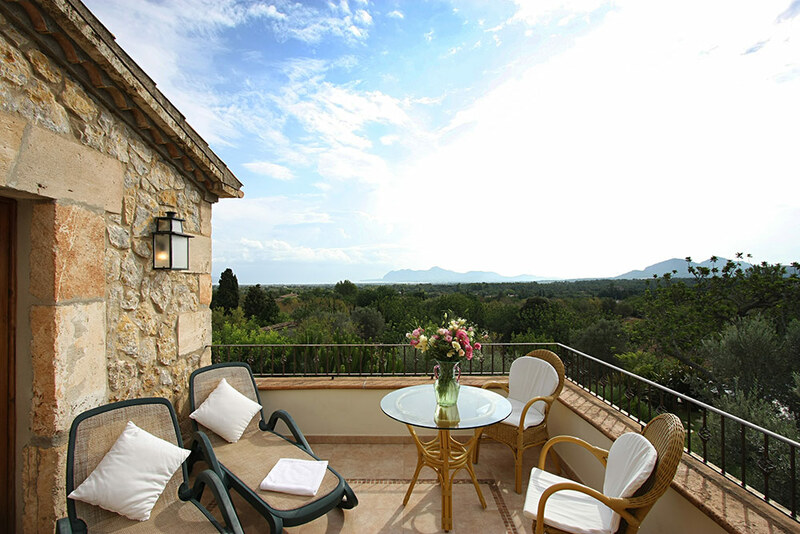 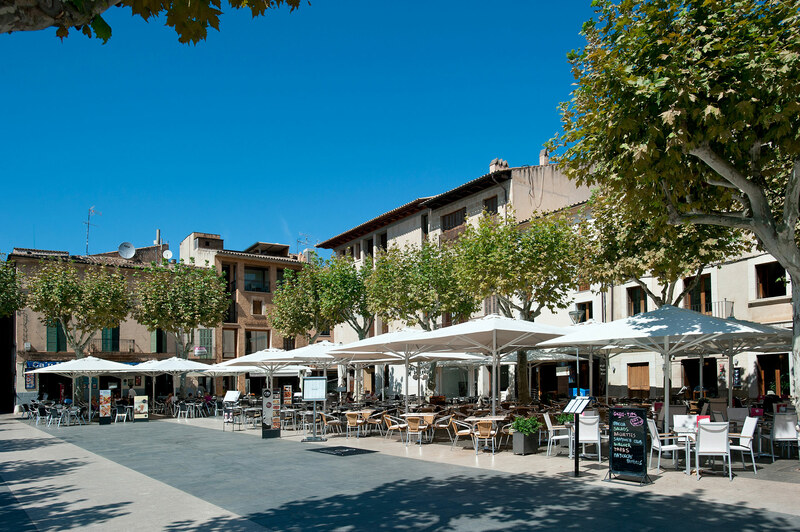 Furniture and linen are from famous galleries in Pollensa.